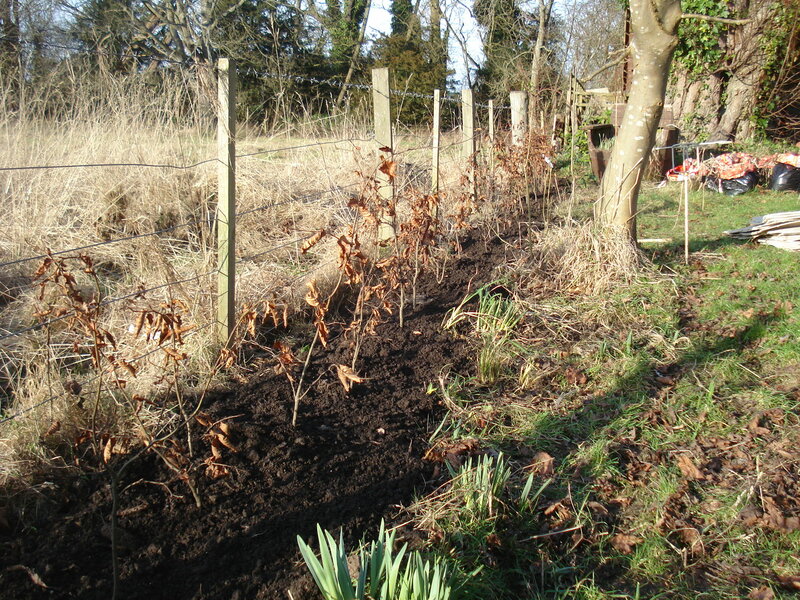 Planting a new hedge – attempt No.2! 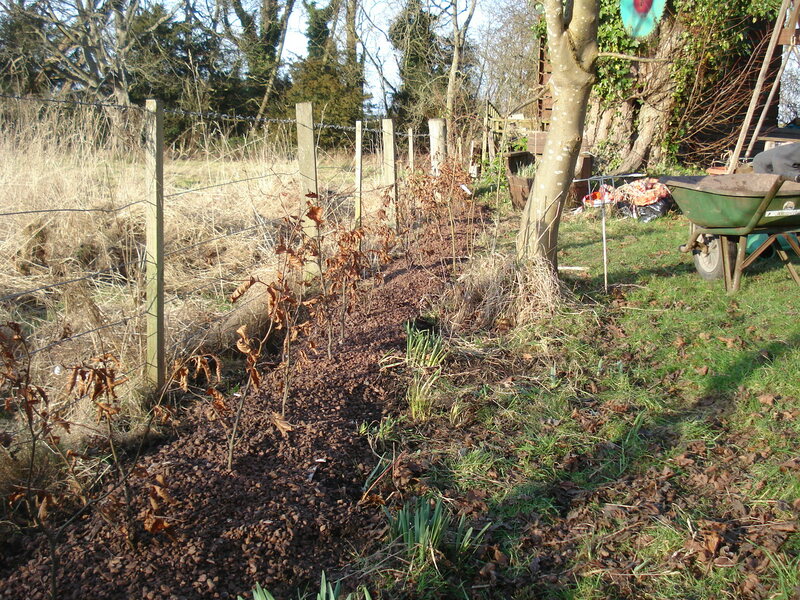 At the end of February 2011 we planted copper beech and blackthorn bare root plants (also known as bare root whips) to form a hedge along the boundary between our garden and the neighbouring field. We were told to plant them 18 inches apart (which was far too far apart), heel them in and mulch them with some compost. I recall spending a very unpleasant, back breaking day in driving sleet trying to get the last roots planted as they we already several weeks past when they should have been in the ground. That first summer there were a few buds and leaves on some of the plants but last year, nothing. What a waste of time and waste of money – they cost 90 pence per plant. The problem seemed to be that the plants never stood a chance against the grass and weeds creeping through from the field. They were strangled and just could not compete. Last year we acquired some replacement roots and planted them in beside the fruit bushes to give them a chance to establish themselves and today we dug them up and moved them to their permanent spot. Learning from our previous mistakes we cleared the area of grass and weeds. 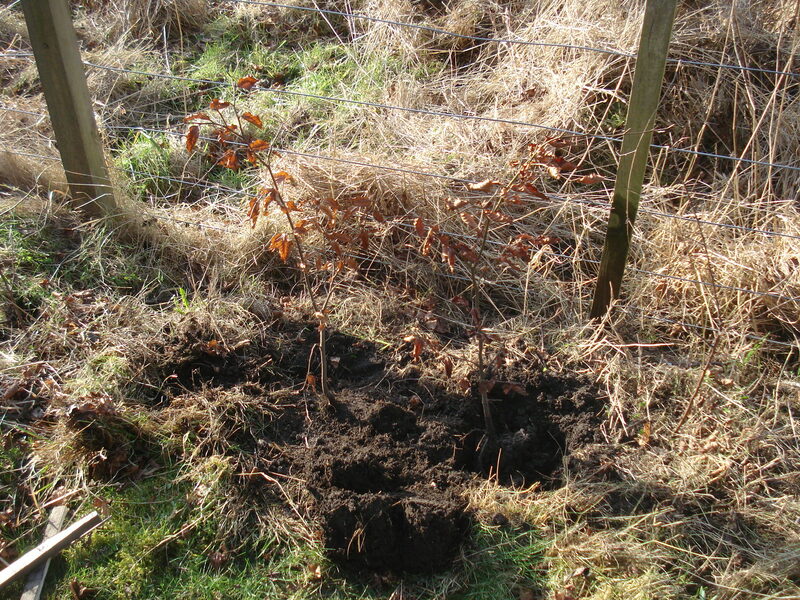 We then dug a hole for each plant approximately 35cm apart and heeled them in. and then covered them with gravel. Hopefully the compost will help the roots settle in to their new home and the carpet collars will stop any weeds growing around the roots giving them a chance to establish themselves. We thought we had some old carpet but all we could find was the remnants of our new hall carpet and at £58 a square metre we could not bring ourselves to use it. Luckily our neighbours had the end of a roll of carpet which they were more than happy to let us have. It is quite effective and I might use this for some of the vegetables in the summer – it might deter slugs (one can dream!). Originally we alternated copper beech and blackthorn to get a good mix of copper and green leaves with the added benefit of sloe berries for making sloe gin! 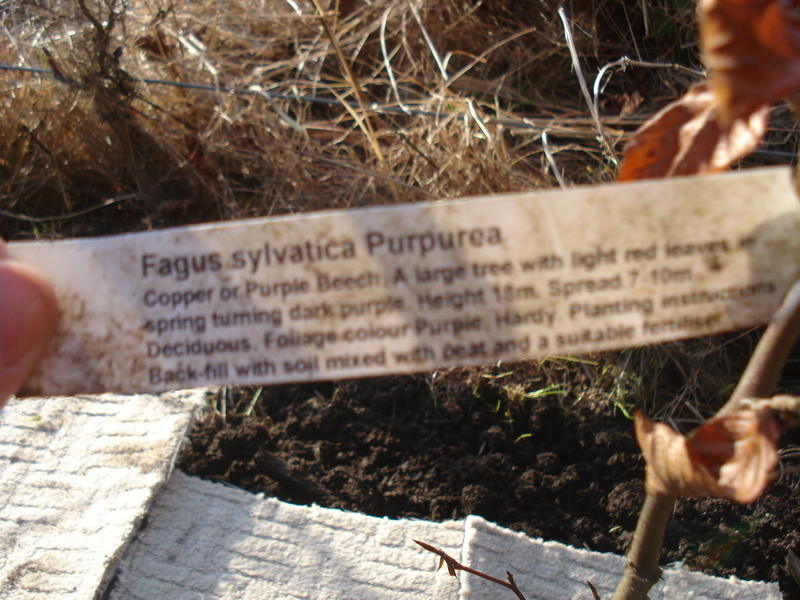 The new roots are actually purple beech and although they look copper at the moment, they have the most beautiful deep purple leaves which change to copper in the winter. Apparently it can grow to 18 metres tall….yikes! Finally, I have to thank Mr Mac for all his hard work. 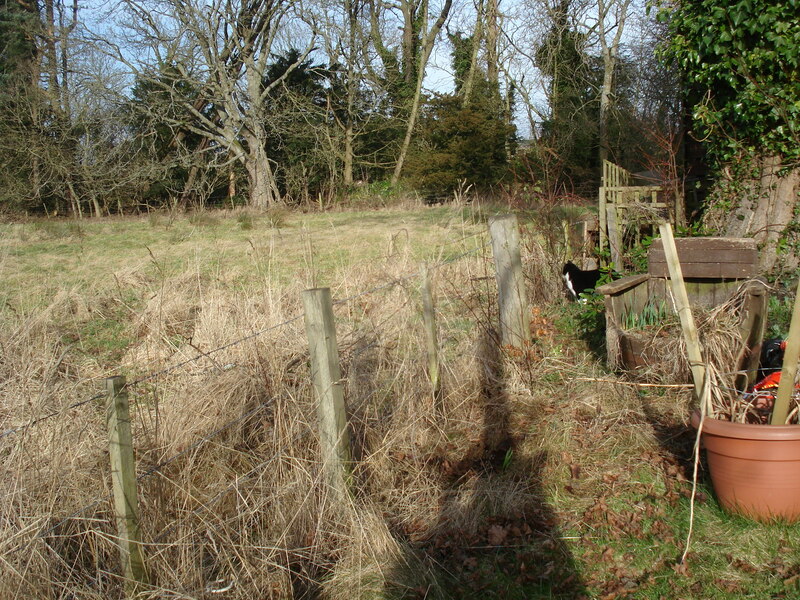 He did all the digging and planting while I sat in the sun cutting carpet squares. 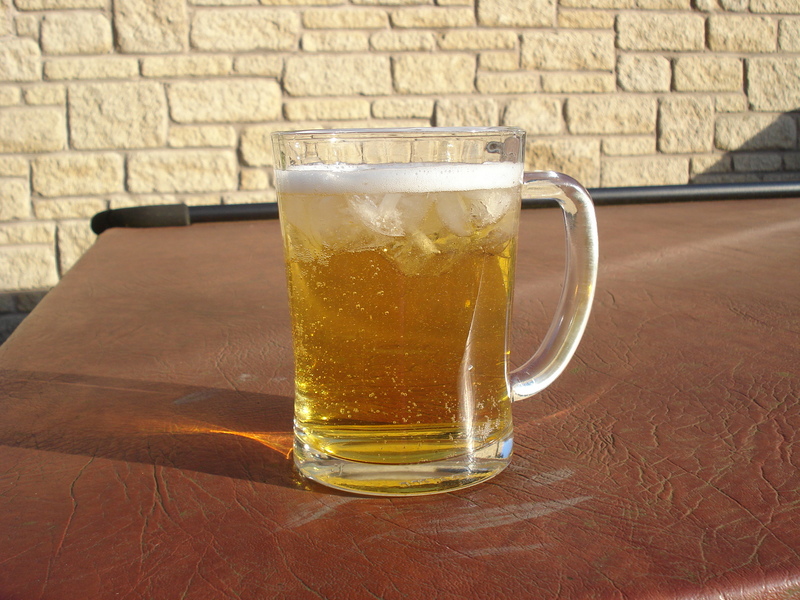 However, Mr Mac was well rewarded for his hard work……..
with a nice cold pint of cider! Well I can’t believe it is February already and we have been blessed with another sunny weekend which meant lots of gardening jobs got done. Mostly weeding and tidying but I’m feeling quite smug now! The garden is starting to transform – check out my other blog at http://www.ayearinmygarden2013.com for a weekly photographic record. 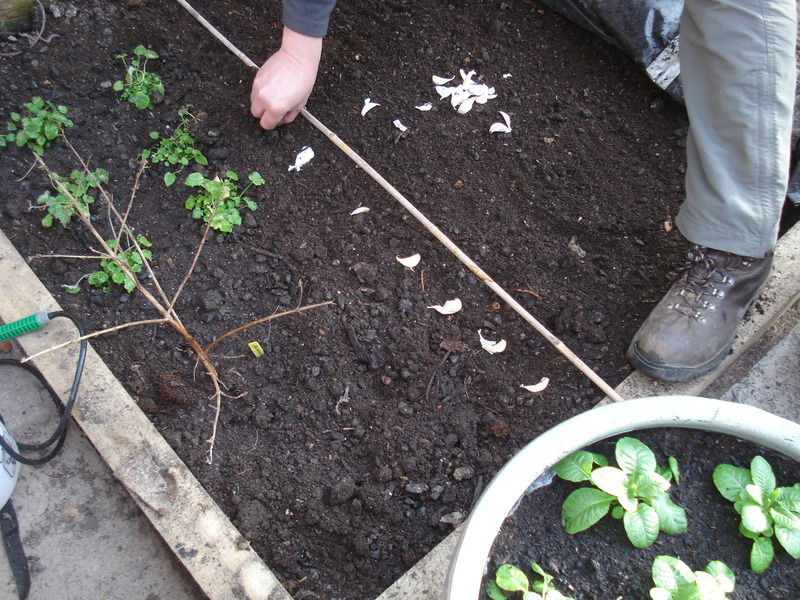 Prepare soil for summer bedding by forking in compost. 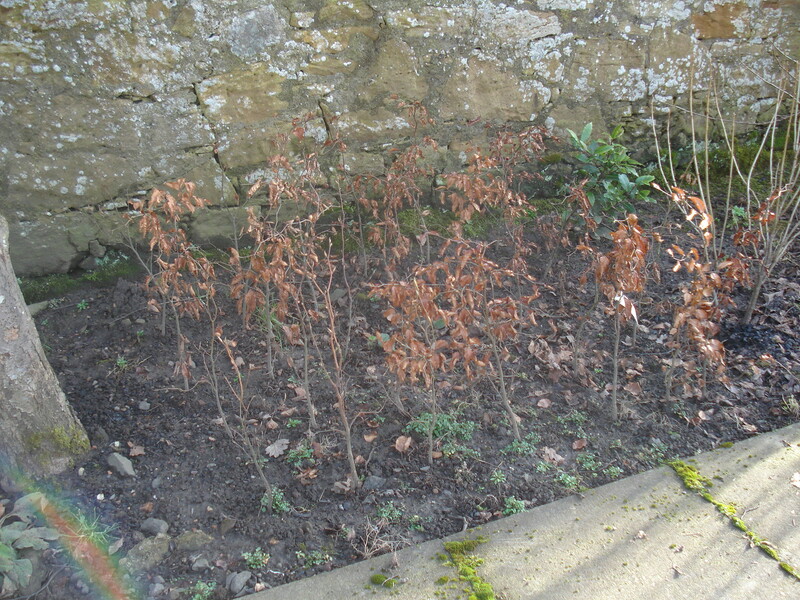 Suppress weeds with mulch – well rotted manure or bark chips. Start sowing summer bedding and greenhouse vegetable seeds if you have somewhere warm to do this. Wash the greenhouse glass and ventilate on sunny days. Start collecting toilet roll tubes and egg boxes for starting off sweet peas and beans and chitting potatoes. Add potash around the base of fruit canes, bushes and trees – Mr Mac sprinkles the ash from the wood burner. 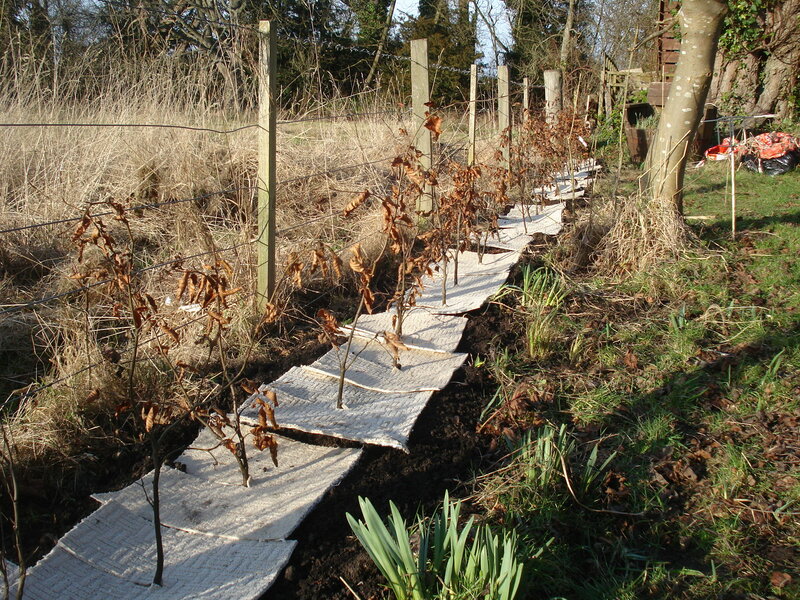 Warm soil by placing a cloche, polythene or carpet over it. Check seeds from previous years to make sure they are still worth sowing. Try the germination test – put 20 seeds on moist kitchen paper and put somewhere warm for seven days. If the germination rate is less than 50% then chuck them out and buy new ones! Sow peas inside for an early crop. I did this last year and it was a great success. I still have not done January’s job of sorting out my seeds, seeing what I need to order and make a plan for the garden for this year but it is too early for me anyway. I don’t want to make the same mistake I made last year by sowing tomato and flower seeds in mid-February and then losing them all to frost in April. That set me back 7 weeks but everything caught up in the end. 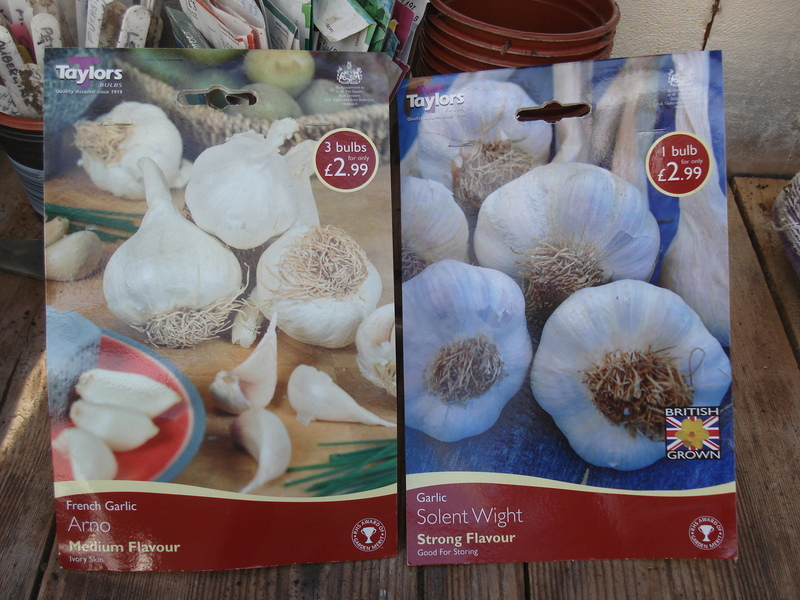 I have done lots of weeding, mulching and dead-heading so don’t feel too bad and the garlic was planted last weekend. Having researched what type of garlic to buy I decided hardneck types would be better for the Scottish climate. They are more hardy than their softneck cousins and thrive in the UK, especially in northern areas. The only down side is they do not store as well – not an issue in our house as we eat it all the time. However, when I went to the garden centre the packaging gave no indication of whether the variety was hardneck or softneck so we opted for Solent Wight which is produced in the UK and Arno, a French variety. We split up the bulbs and planted each clove of the Solent Wight in individual pots so it can be planted outside later in the spring. As Arno is used to the French climate we opted to grow that in one of the beds inside the greenhouse. It is the first time we have tried growing garlic so fingers crossed!